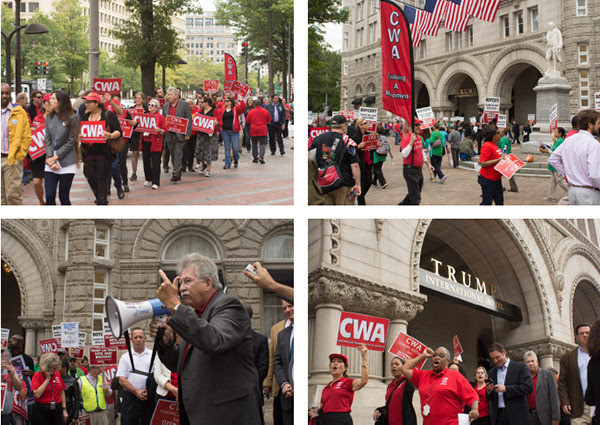 TRUMP HOTEL in Washington, D.C.
CWA President Chris Shelton and CWAers joined members from the Hotel Employees and Restaurant Employees, the AFL-CIO, and many other labor groups to picket outside the Trump International Hotel in Washington, D.C. Pickets have also been organized at Trump hotels in New York, Chicago, San Francisco and Honolulu. Trump has refused to recognize the right of his employees at the Trump Hotel Las Vegas to organize and bargain, despite their voting for Union Representation last year, and the Union being recognized by the National Labor Relations Board. 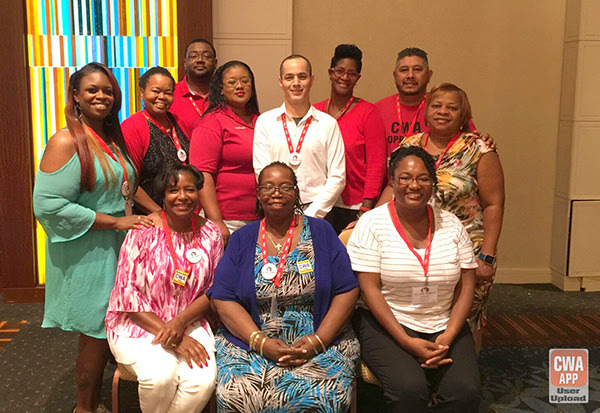 The CWA National Civil Rights and Equity Committee and the CWA National Women’s Committee hosted their biennial conference on human rights this week in Atlanta, Georgia. The conference featured workshops, guest speakers, and political action. 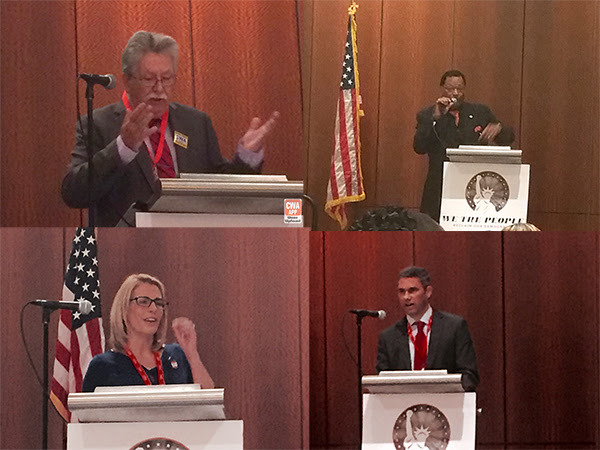 Clockwise from top left: CWA President Chris Shelton, CWA District 6 Vice President Claude Cummings, CWA District 3 Vice President Richard Honeycutt, AFA-CWA Int’l President Sara Nelson. 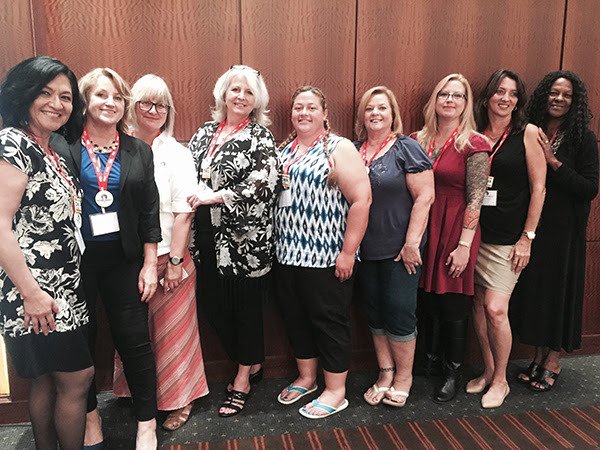 The CWA National Women’s Committee. The CWA National Civil Rights and Equity Committee. 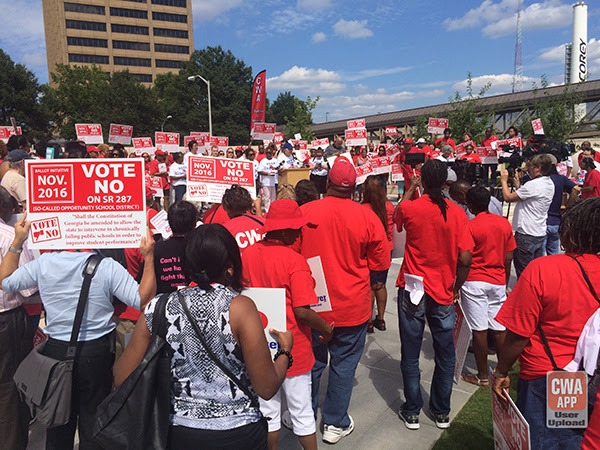 ###On Monday, CWA members rallied with the Georgia Federation of Teachers to oppose ballot initiative SR.287 and fight for high-quality, locally controlled neighborhood public schools. The event was aimed at educating Georgia voters about the misworded and often misunderstood ballot initiative that if passed would strip local control of Georgia’s public schools. CWA and Georgia Teachers rally against stripping local control of public schools.